Established in 1993, STEMS is a friendly, family-run florist with a flair for the imaginative. 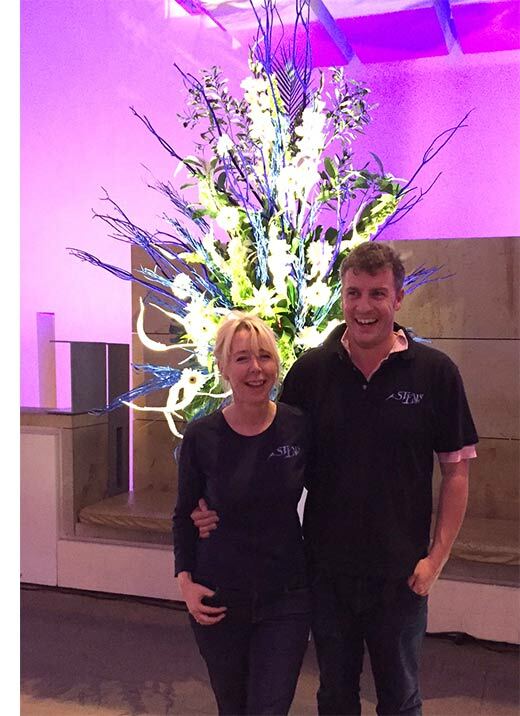 Husband and wife team, Katrina Howells and James Mitchelmore, combine Kate’s floral passion and personal customer service with James’ technical prowess as a lighting designer and event project manager. The result is a high-energy florist business that can deliver stunning creations to meet any budget. We cherry pick fresh blooms from across the globe as well as sourcing sustainable and long lasting silk flowers to deliver style-led arrangements ranging from hand-tied bouquets to large-scale installations. Through telephone or in-person consultations, we’ll get to know you, your style, your business or your home. Flowers are highly emotive and whether they are used for celebration, remembrance or to transform a space, we look forward to sharing your moment and making another friend of STEMS.